Alzheimer’s disease is progressive, meaning that your loved one’s symptoms will worsen over time. As memory loss increases, individuals with Alzheimer’s tend to experience a deterioration of their communication skills, finding it difficult to properly express their thoughts and emotions. You might notice that your loved one has trouble finding the right words, is repeating phrases, losing a train of thought and is ultimately speaking less, relying more on gestures than words. Caregivers commonly become frustrated when they aren’t able to understand what their loved ones need. Or, they may have trouble getting loved ones to perform certain tasks, such as getting ready for bed or sitting down for lunch. However, it’s important to remember that the individuals living with Alzheimer’s disease are most likely equally upset about their inability to effectively communicate. Provide reassurance and support. Acknowledge your loved one’s feelings. Keep in mind that individuals with Alzheimer’s disease can have issues not only with memory loss but can become confused or suspicion of others. Instead of insisting they are wrong in their feelings, try to provide reassurance and support that you understand how they feel. Stay positive. Be sincere, speak in a soft voice and offer compliments and encouragement as much as possible. Showing respect can help set the mood for a positive experience. Remember that negative behavioral expressions are symptoms of the disease, and instead of reacting negatively yourself, stay calm, use gentle touches and soothing words to ease the situation. Also, remember that laughter truly is the best medicine; individuals with Alzheimer’s can take cues from you and often enjoy laughing and being silly along with you. Simplify phrases and questions. Use short sentences and ask yes or no questions to clearly convey the messages. It’s important to not overwhelm loved ones with a variety of options or answers, and you may have to repeat yourself from time to time or use visual cues to prompt a response. Be patient and slow down to your loved one’s speed. Use nonverbal communication often. Offering a smile can sometimes be the most effective way to connect with your loved one. As the saying goes, actions do speak louder than words. Making eye contact, a light touch on the hand or reading body language can go a long way in relaxing your loved one and allowing you to be there in the moment with him or her. Keep distractions to a minimum. When necessary, move to a quieter area. Eliminate noises and other distractions as you’re trying to communicate to help reduce confusion. Make sure you have their attention, stating their name, your name, and your relationship. In Peabody’s Memory Care Neighborhood, we offer specialized memory care programming that focuses on the individuals’ remaining strengths and abilities in a stimulating atmosphere. 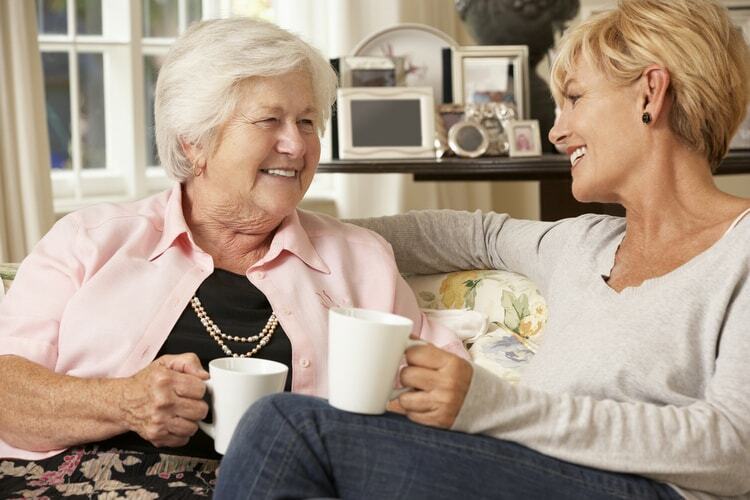 For more information about our memory care community, please contact us today or call (260) 201-2701.